Core Investment Companies are limited companies which hold equity shares, and also preference shares or debentures in other group companies. Very often these companies are primarily establishing as group businesses and they control the subsidiaries through holding majority shareholding. Core Investment Companies are not allowed to do trading of shares or debentures. In other words, a Core Investment Company (CIC) is essentially a company which holds the stake in the group companies without practically being involved in its trading. A core investment company is also defined by the Reserve Bank of India as Non-Banking Financial Company (CIC). Core Investment Company can be classified into two categories: CIC-ND- Non Systemically Important (NSI) and CIC-ND- Systemically Important (SI). Non-Systemically Important CIC (NSI): It is a non-deposit taking CIC which has an asset size of less than Rs. 100 crore according to the last audited balance sheet. A Systemically Important CIC (SI): It is a CIC that has total assets of Rs. 100 crore or more whether individually or collectively along with other CICs in the Group according to the last audited balance sheet, and holds or raises public funds. Company should hold at least 90% of its net assets, in the form of preference shares, bonds, debentures, investment in equity shares, debt or loans in group companies. Its investment in the equity shares in group companies is at least 60% of its net assets. It does not trade in its investments in bonds, debentures, shares, debt or loans in group companies except by block sale for dilution or disinvestment. One could download the relevant application form for CICs-ND- SI from the website of the RBI, the application should be filed in and submitted to the Regional Office of the DNBS in whose jurisdiction the Company is registered along with required supporting documents as mentioned in the application form. The application form for Core Investment Companies (CICs) has been redesigned with two checklists of documents. However, the checklists are indicative and not exhaustive. 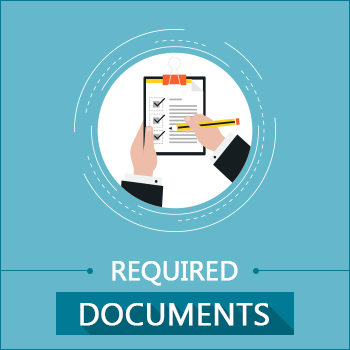 If necessary, the RBI can call for other documents on the eligibility for getting registration as CIC. In case the Bank calls for further documents, the applicant company is required to respond within 30 days failing which the original CoR application may be returned to the company for fresh submission along with the required information/documents. What is the meaning of the term ‘Group Companies’ ? It means an arrangement involving two or more entities related to each other through relationships including those of a related party, joint venture, associate, promoter-promotee, and subsidiary – parent. How is ‘The 100 crore limit’ determined ? It is determined by aggregating the total assets of all CICs in the group. How do you define ‘Net Assets’ ? Net Assets mean total assets excluding cash and bank balances, investment in money market instruments and mutual funds, Advance tax payments; and deferred tax payment. What all do you include in ‘Public funds’ ? Public Funds include funds raised through public deposits, debentures, commercial papers, inter-corporate deposits and bank finance. Core Investment Company registration is one of the tedious jobs, especially when there is a 52-item checklist. You want to register your CIC, but do not want to enter into muddy waters? Do not worry; there is Muds Management. Get a Core Investment Company registered with Muds Management. Contact Muds Management at +91 9911222771 for Free Consulting. 2019 Elections: Modi Shuts 2.24 Lakh Companies – Check Now!